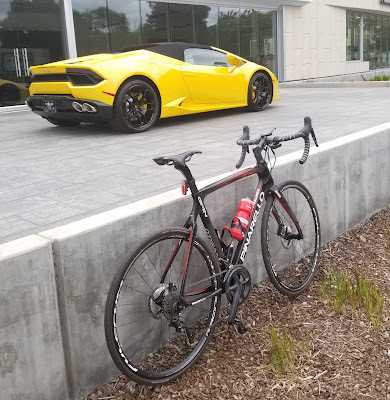 Pinarello Dogma K8S - The Wait! An opportunity presented itself over the weekend. I was browsing my Instagram feed when I came across a deal from a bike shop on the East Coast selling what appears to be a demo Pinarello Dogma K8-S with Ultegra build and Fulcrum Quattro carbon wheels for a really good price. I got super excited and started researching the bike. 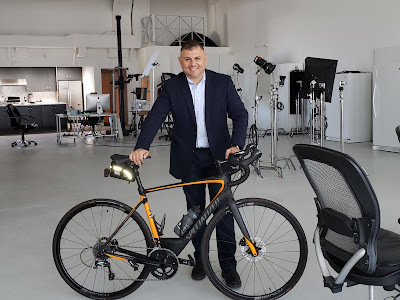 It appears to be a race bike with a little bit of an added comfort in the form of an elastometer shock and an ability to accept tires up to 30mm. The only thing it lacks are disc brakes, but my biggest attracting for them was the larger tire clearance, which this bile provides as well. I have been riding a Pinarello Gan K Disc, which a lower-end derivative of Dogma F8. My Gan K has been by far the most amazing bike I have ever had. I have done centuries and double centuries on it. After giving the idea of buying this bike a couple of hours worth of thought, I decided to pull the trigger. I did a lot of research and it appears like size 54 is the right size for me. 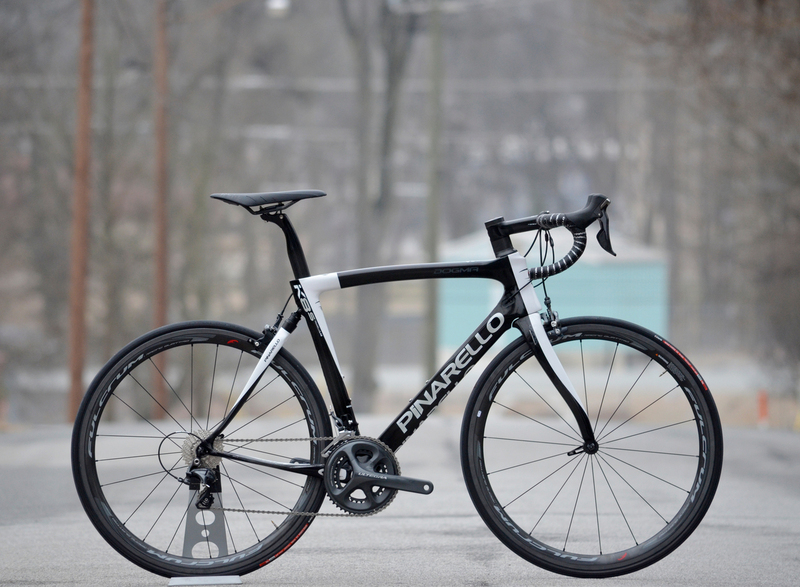 I also called and visited 2 local bike shops that are Pinarello dealers and they recommended the same thing. 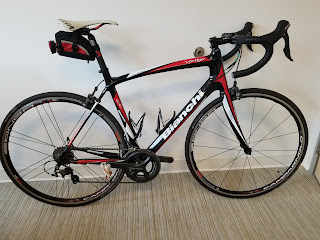 I know it is a little crazy to order such a bike over the Internet. First, I have never ridden it. But I have 1,500 on Gan K, which appears to be its "cousin". Secondly, I have no experience with this bike shop. But they seem to be reputable, so it is a good sign. 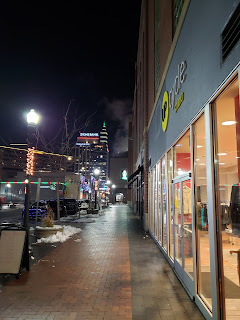 From the first glance, it appeared to be a reputable shop. I have bought three bikes online -- Pinarello Gan K Disc, Colnago CLX 2.0, and Bianchi Infinito CV. All three turned out to be awesome bikes with Pinarello being the best. I hope this turns out to be a positive and great experience! More to come! 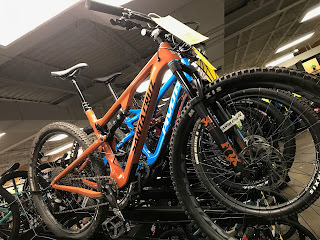 2018 Santa Cruz Tallboy C S is a beautiful bike! I got it in early December and was anxiously awaiting for it to arrive. It arrived in late December. A local bike shop in Boise put it together for me. It looked really nice. 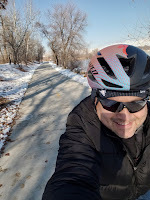 I took it for a couple rides on a Greenway and finally made it to a local trail in the beginning of January. I loved the comfort of the bike. I really enjoyed the scenery and the freedom to go and explore the mountains. I loved the that I didn't have to share the road with cars. However, after riding road bikes for almost 6 years, this bike felt a little unstable. I felt like I don't have a lot of control with the handlebars. It maybe the geometry or just the fact that I am used to road bikes. I also didn't like the singletrack and rock gardens. Climbing felt kind of weird, especially when I had to share a narrow trail with bunch of people, dogs and cyclists. I know a lot of people who are obsessed with mountain biking. Maybe I will like a fire road much better. But for now, I am thinking that MTB may not be my thing... at least for now. I may give it another try at some point in life, when I have more time to explore mountains. So, goodbye Santa Cruz Tallboy! 2018 is almost over. It has been a great year For cycling. 3,750 miles, longest ride so far (213 miles), new places, lots of personal records, and many new bikes. Double century has been an elusive target for a few years. I tried one a few years back to just DNF at mile 57. That left my longest ride at 130 miles. My cycling time went down in subsequent years. 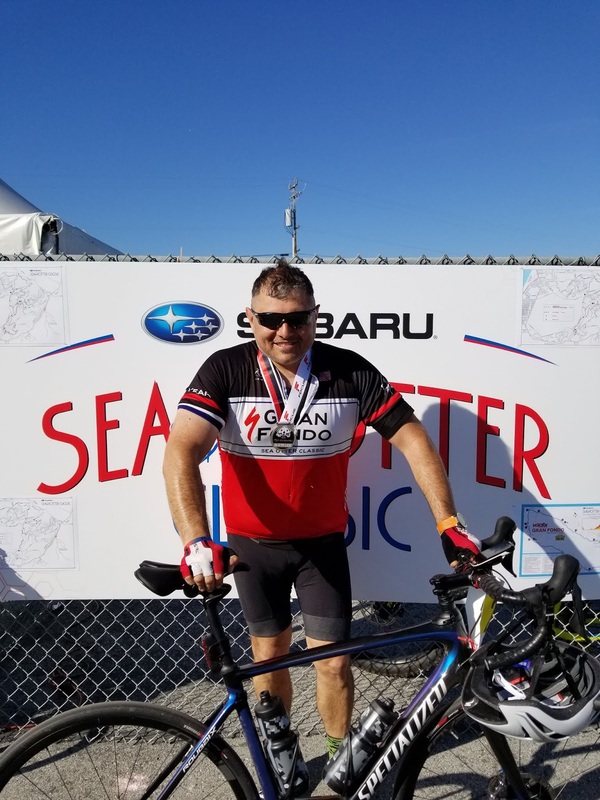 Completing a double century became my main cycling goal this year. So, I started training. I kept increasing the distance of my weekend rides. Then, I completed A metric century (64 miles). 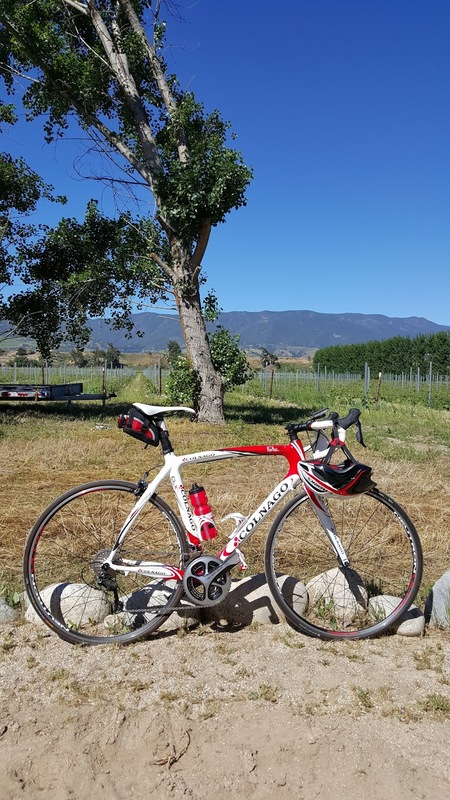 Then, the Sea Otter Carmel Valley Gran Fondo (93 miles), then Strawberry Fields Forever Century (100 miles). Sea Otter was the hardest one at that point. It was on a new bike. It had several hard and long climbs, but I was not in the shape I wanted to be in. The next one Grand Tour Double Metric (130 miles), followed by STP (Seattle to Portland) Double Century. 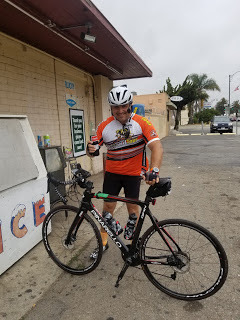 The day before the Grand Tour I discovered that double metric was not an option anymore, so I decided to go with the 100-mile option and see how far I can push. I started when it was still dark. First 40-50 miles were nice and easy. 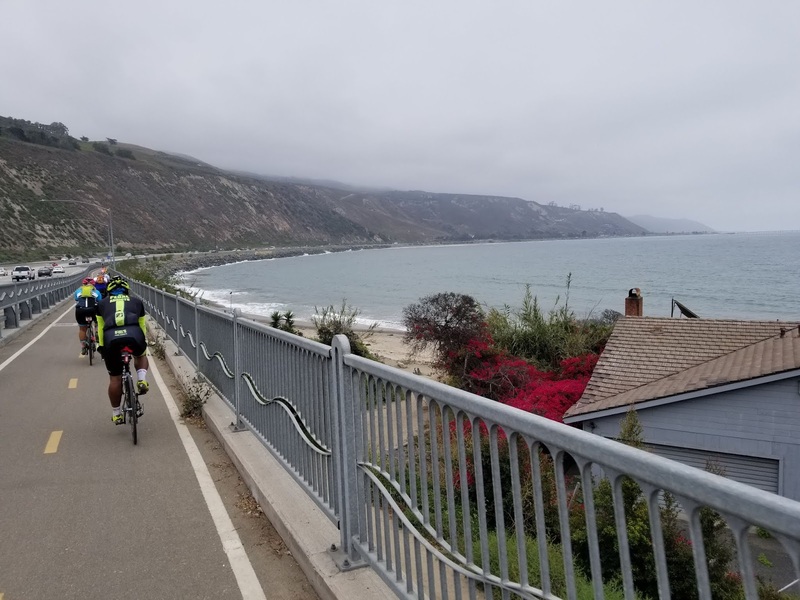 I met a guy from Central California and we rode together until the mile 60 or 70. Then I was going solo. At mile 100, I stopped at a convenience store and grabbed a bottle of Mexican Coca-Cola. At that point, I knew I had it in me to go another 30-40 miles. At mile 140, I met a really cool group from San Jose, called Pedal Addicts. They invited me to join and we rode together until the finish line. It got really hard past the mile 160 -- mostly mentally. But having a group of amazing people made a huge difference. 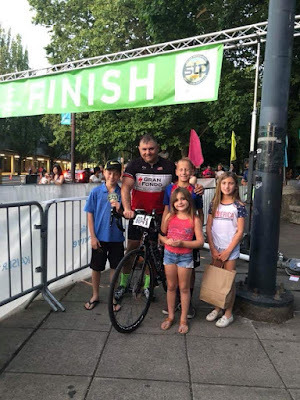 3 weeks later, I rode from Seattle to Portland in one day. That was 213 miles and was much easier since I was prepared much better mentally. I broke the ride into 4 big chunks -- 50 miles each, except the last one. It was a fantastic ride, except my mind was dealing with some issues at work until mile 70. Then it was just awesome! I finished strong. And the best part was that my family was greeting me there, at the finish line! So two double century rides. 3,750 miles instead of the originally planned 2,000. 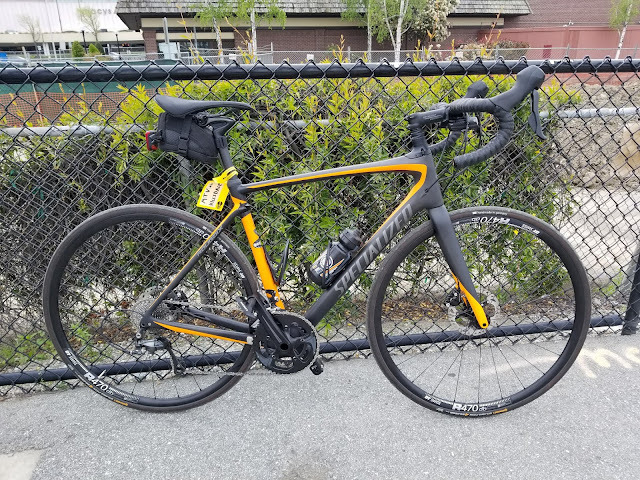 Got to ride in CA, OR, WA, and ID (at 25F) . Idaho has been one of the highlights of this cycling year. First ride came as the hotel I was staying in caught on fire. I grabbed my bike and went for an hour ride at 11:30pm. I rode the Green Belt, Dump Loop, and several other routes there. Boise has a great cycling community and great places to ride. I got rid of the the first 3 on that list. AL Crux was a little too heavy and was not being used. 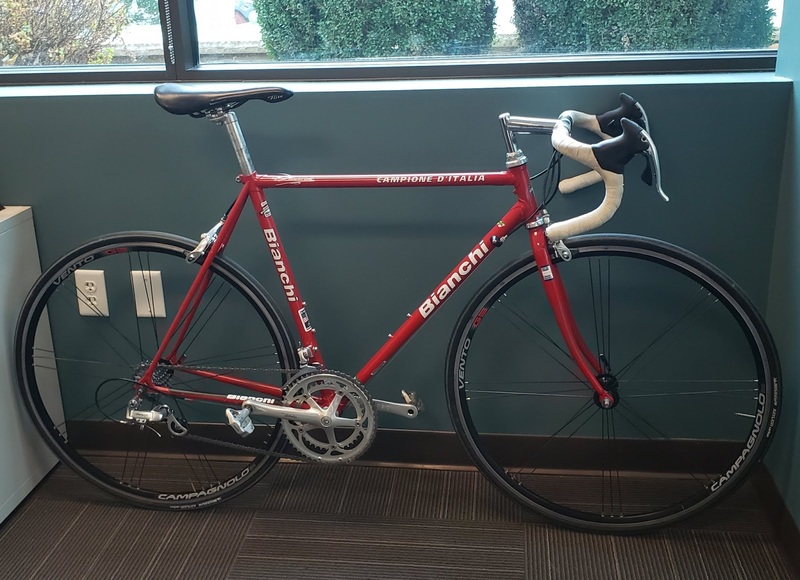 Bianchi Infinito CV had a bit too much flex for my size of a rider. Colnago was fantastic, but after starting to ride with 28mm tires and disc brakes on other bikes, it felt jarring. Here is the gallery of my 2018 bikes. But most of all, it has been a great year for cycling, exploring, achieving, making friends, thinking, and exercising. 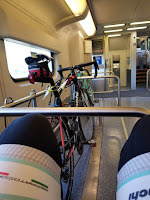 I commuted, rode with kids, enjoyed weekend rides, did centuries, lunch rides, indoor cycling studios, and greenbelts. I look forward to 2019! MTB will be the new thing for me in the new year. Probably no new bikes. Just enjoy, exercise and discover! Winter Cycling - Yes, There Are Good Options! 5:30am. The alarm goes off on my phone. It is 17F and dark outside. The hotel room feels so comfortable. But it's time to get up and get going. Spin Class / Cycling Bar. 15 minutes later, the snow and ice are crunching under my boots. I walk into the Upcycle Studio in Boise, Idaho. This place has been humming since 5am. 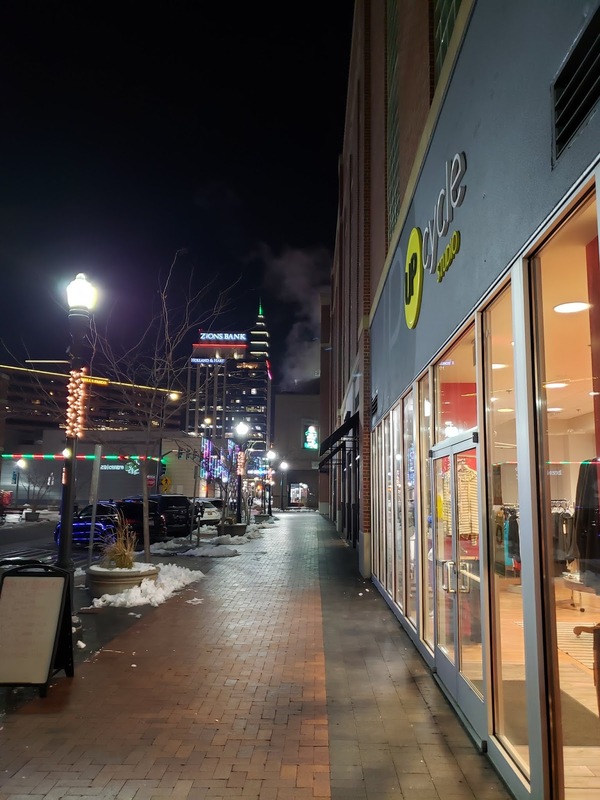 It's bright and welcoming -- a stark contrast with the freezing cold and darkness on the street. 30 minutes later I am sweating bullets. The instructor is guiding the class through imaginary hills, mountains and valleys. The imaginary wind blows hard at times. She commands. She jokes. She sings. She demands. It is hard. But it is kind of fun. 30 minutes later I am fully awake and drenched. A brisk walk to my hotel. It is starting to get lighter. Shower, breakfast, Uber to the office and I am doing what I love -- high-tech marketing. All in all, the spin class is great for exercising and staying in shape. It is a good alternative for not being able to ride outside. It gets your day going. Some people love it. I like it. But it feels artificial. Definitely can't substitute the road or the trail. It is what it says it is, however. A spin class. 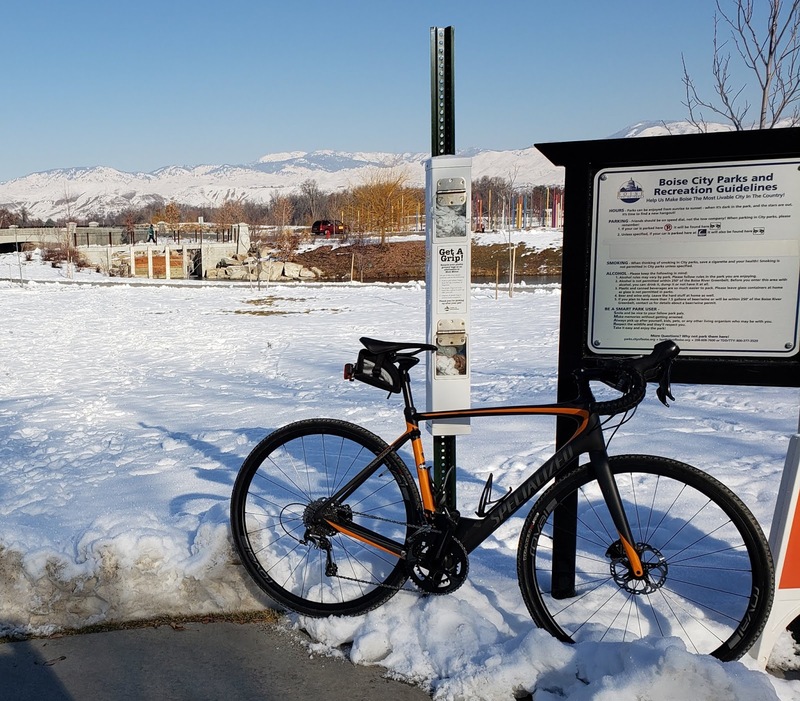 There are also other options for winter cycling, such as lunch rides, trails, commutes, and indoor cycling. Lunch Ride @ 25F. There is first for everything. 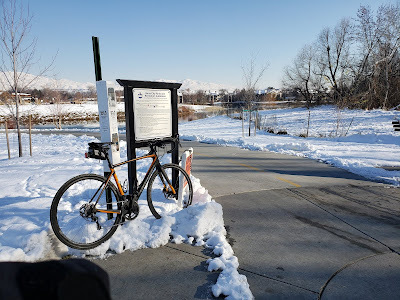 I swapped my 28mm Continental 4 Seasons with 32mm winter knobby tires and hit the Greenbelt in Boise right by my office. This was my first experience riding over ice and patches of snow. It felt really awesome. Somewhat liberating. The same feeling of adventure when you hit a new trail or ride your first century. Liberating. Cold. Fun. Face is freezing. [On a second thoughts, I need to buy a balaclava for the next time.] Beautiful mountains covered with snow in the background. A river with ducks and geese. A beautiful bike path with snowbanks on each side. Occasional people giving the look of "you are insane, man". Occasional cyclists nodding in understanding. It's actually fun once you get going. 25F + wind feels crisp, especially when you slow down or stop. But it feels great as well. I was dressed appropriately with layers, gloves, etc, so it worked well. 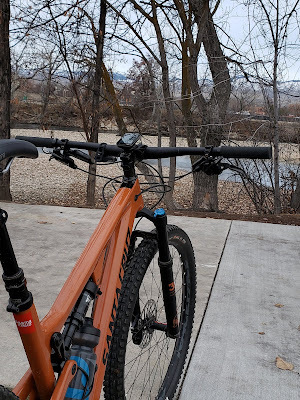 Conclusion: cold winter riding is fun when you have the right layers, equipment, and a knack for an adventure. Winter Commuting. It works really well in Northern California. 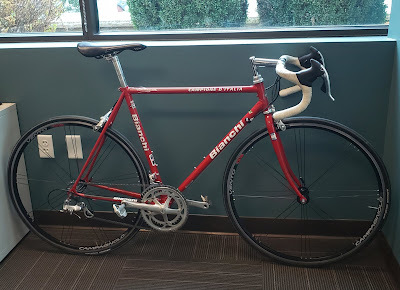 I did the whole commute thing over the last 6 years on a bike. And when the office got moved to 38 miles away, I found a new way to cycle to work, which turned out to be a sum of a bike and a train ride. 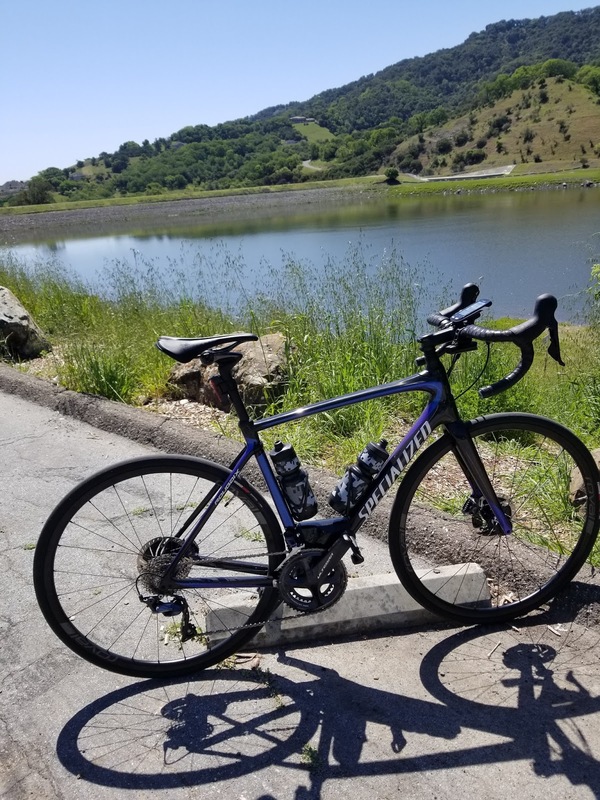 It gave me a chance to combine the joy or riding with exercise and avoiding driving in terrible Bay Area traffic. My new office in CA is only 4 miles away, so it is fun to ride to work in the morning and then hit the long route via hills after work. It gets a little tougher with the rain, but plenty of people do it. You get the right gear and it becomes a routine. 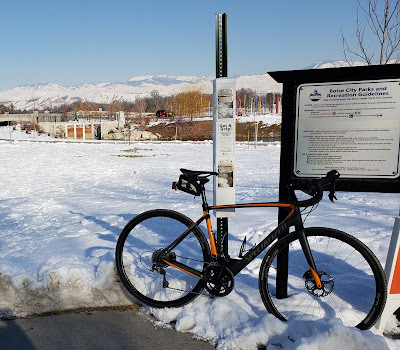 Some employees in our Boise HQ commute to work when it is 17F outside, snow and ice. Tons of respect for these folks. I would probably do the same if I lived there. That is another awesome adventure. Winter Trail Riding. This is something new for me. 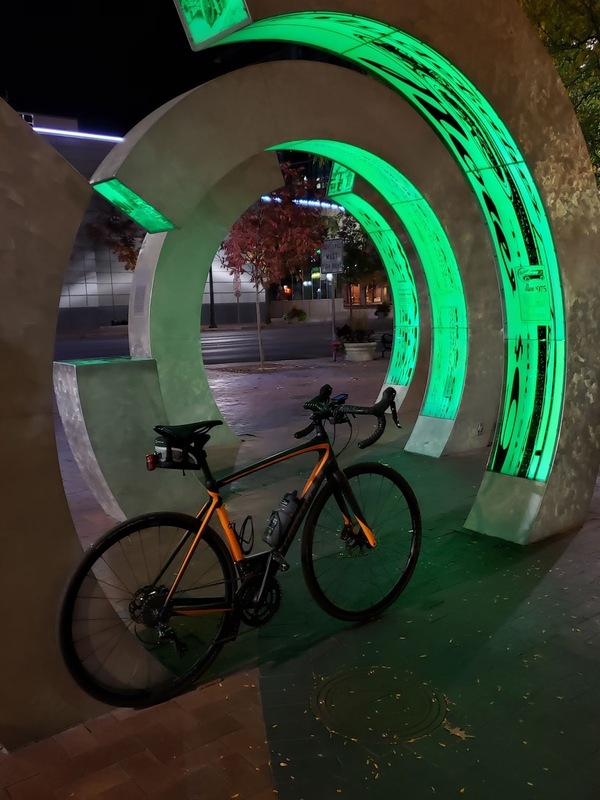 Many people in Boise are obsessed with cycling, especially with mounting biking. A handful of my colleagues do winter trail riding, even with snow and ice present. 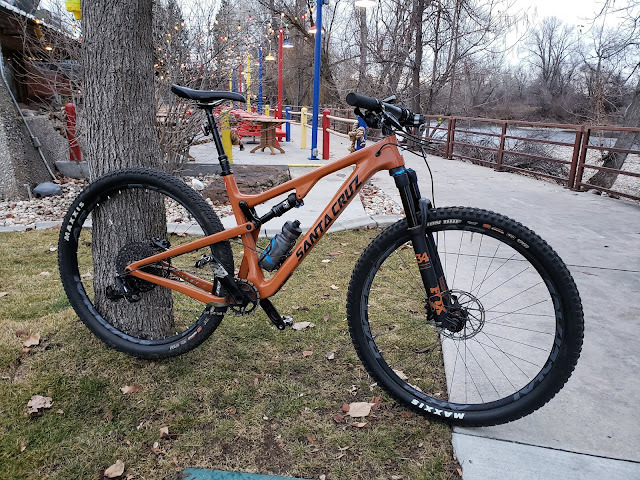 As I am spending more time in Boise (and absolutely loving it), I finally broke the bank and bought my first real mountain bike. It is a Santa Cruz Tallboy and it is coming in next week. I will write about my first winter ride once it is completed. Finally, there is indoor cycling. A combination of a smart trainer, Zwift, and TrainerRoad in my case. It is a decent alternative to outdoors cycling when the weather gets bad. I am not a huge fan of it, however. 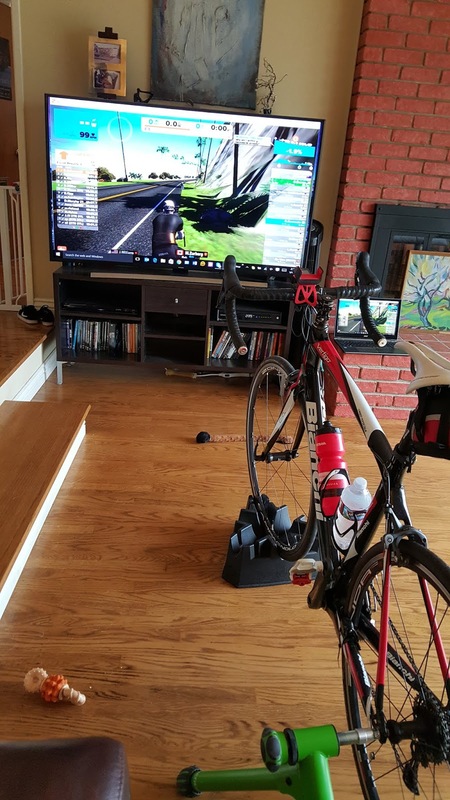 It gets boring quickly, but I know a lot of people who are pretty passionate about Zwift and TrainerRoad. I always feel guilty about recovery weeks. I have researched and fully understand the importance and value of the recovery time. I get it. But I still feel guilty and uneasy about these. 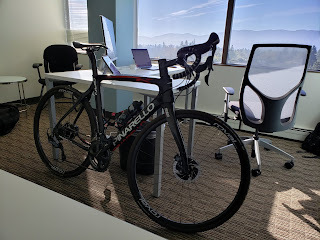 Now that I have surrounded myself with bikes and made cycling a key part of my daily life, I have an hourly visual reminder to go cycle. So I have to constantly remind myself to not go commute to and from work, to not go ride at the trail, to plan the weekend differently, etc. It's all good though. 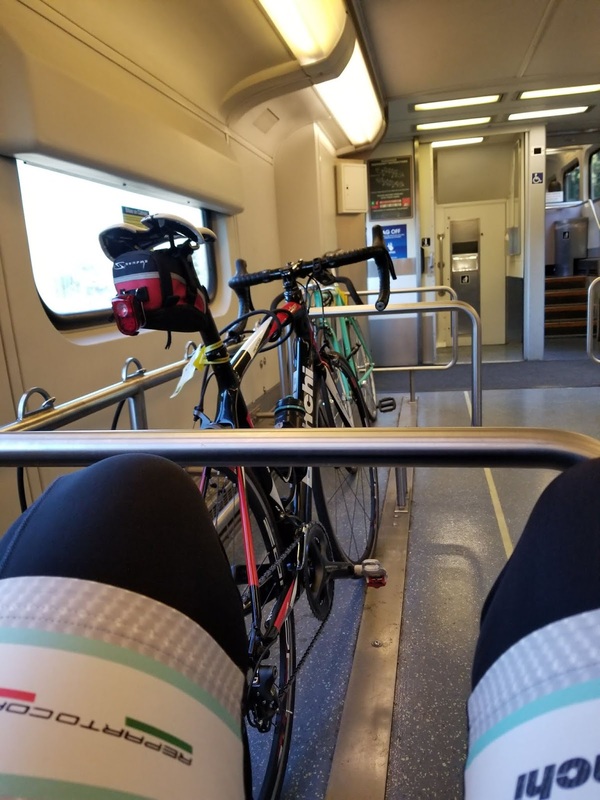 This week, I am doing some micro rides, where I am trying to not push at all. I am doing weights and long walks. I am also trying to catch up on some sleep. 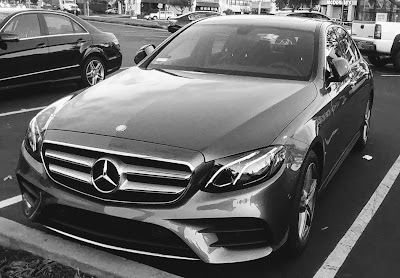 I am driving to work and back, getting reacquainted with my cars, traffic, satellite radio, and phone calls. And this experience makes me realize that while I really like mike cars, but I LOVE my bikes! The more I am staying away from my bike routine, the more I want to do it next week, which is another good thing. After reading this blog, I also realize that this sounds like a ramblings of an addict. You can substitute the bike with alcohol, cigarettes, drugs, etc. -- and it probably would sound the same. This said, I absolutely love my cycling addiction and obsession! Here is to the recovery week and more riding coming up! Pinarello Gan K feels very much like an exotic sports car. It just goes. It goes fast! And it gets going fast really quickly! It took me a moderate effort to push the bike to 32 MPH, on a slight uphill, which is pretty crazy for an XXL rider! Yet, it feels magical! After riding around 1,500 miles after my first review of Pinarello Gan K Disc, and doing so on several bikes, my opinion is unchanged: Gan K is an amazing machine for going fast. It takes very little effort to get it going. And the nice thing is that it feels like the bike is assisting you, even when you are tired. 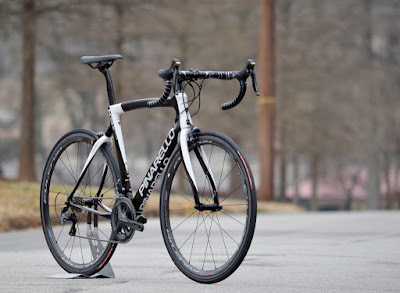 I am not sure how Pinarello did it, but Gan K feels amazing when riding on a flat course. It feels planted and controlled when descending quickly. It struggles a little (to compare with my 2018 Specialized Roubaix or Biacnhi Vertigo) when you have to climb -- perhaps due to a slightly heavy frame and a middle-of-the-line wheelset. But the struggle is very minor. Once you get into the groove, the climbs are over before you notice it. 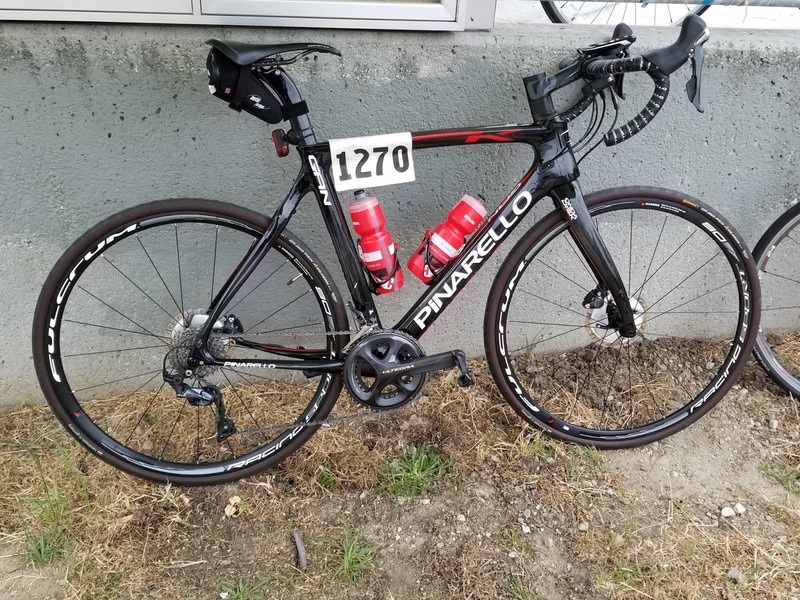 I think Pinarello Gan K Disc will be the one I take to STP (Seattle to Portland) ride this year. And then there aesthetics. I like a classy look that stands out from the sea of look-alike shapes and colors. 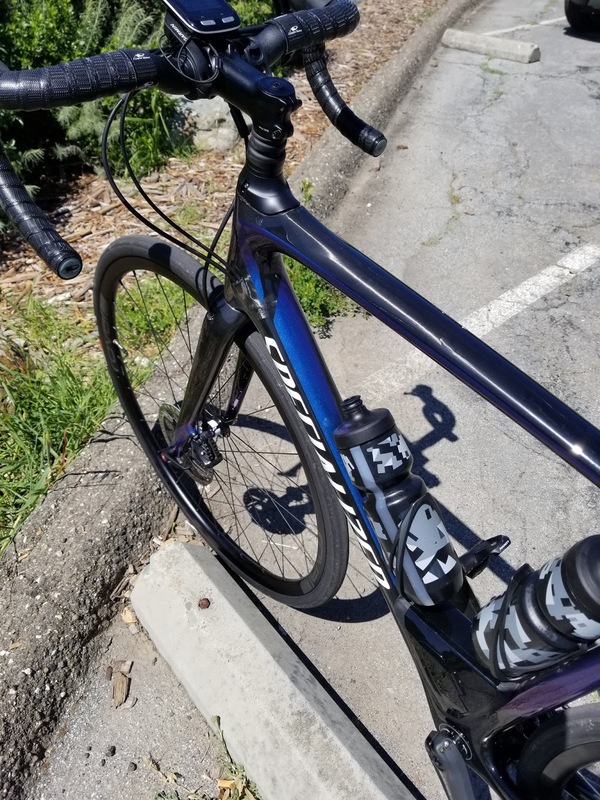 2018 Specialized Roubaix Expert in Chameleon Purple / Blue delivers on 90% of these requirements. 2018 Specialized Roubaix just glides over road imperfections and small potholes. 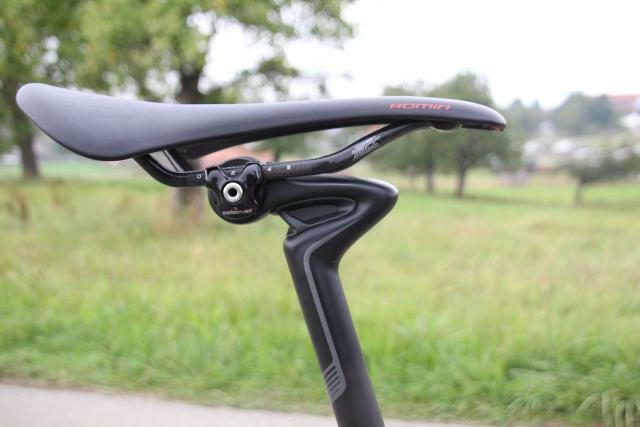 It is smoother than any road bike I have ridden and tested. The difference is even more pronounced when you do back-to-back tests rides on various bikes. I tested 2016 Bianchi Infinito CV vs 2018 Trek Domane SL6 vs 2018 Specialized Roubaix Expert. The riding impressions may be different for lighter riders, but for an XXL cyclist weighting 230 lbs, Roubaix was just amazing. Trek Domane was very bouncy and somewhat jarring. In fact, I returned the demo bike after just two miles, cutting my planned 15 mile test ride short. 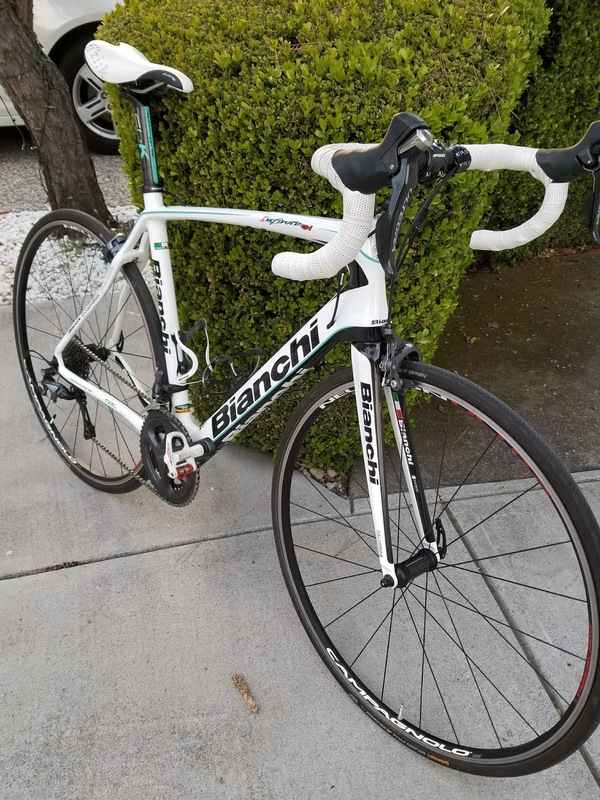 Bianchi Infinito CV was smoother, but a little flexy, giving me a feeling like it is battling me when I try to get going. 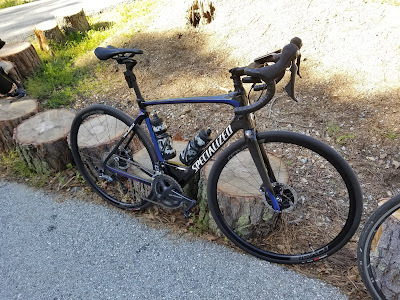 Specialized Roubaix was just amazing! Smooth, comfortable, fairly fast, and controllable. Future Shock. The future shock, which is a spring-based system right under the stem, absorbs the shocks and makes a huge difference. Just like many other people I spoke with, I thought of future shock as just a gimmick. I was sarcastic until I actually rode the bike. It truly does smooth out the ride and makes it much more enjoyable over both short and long distances. This became even more pronounced during last week's Tierra Bella metric century, which was the 5th time I have done it -- each time on a different bike. This ride was by far the smoothest. The Roubaix absorbed road cracks, imperfections, and little potholes. You almost don't feel them. Larger potholes were much more gentle on the body as well. It all added up to a fun, smooth, and fast ride. CG-R Seat Post. I am a little less enthusiastic on this component. I think it does a good job of smoothing the ride, however some heavier riders may find it flexing a little too much. 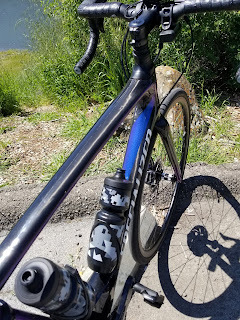 I swapped it out on my previous Roubaix (SL4) in favor of a regular carbon seat post. That made my ride more precise and less "floaty", where I could feel the road without flexing too much. On this version of Roubaix, Specialized has moved the seat post clamp lower, reducing the flex a bit. So far, I like the ride. 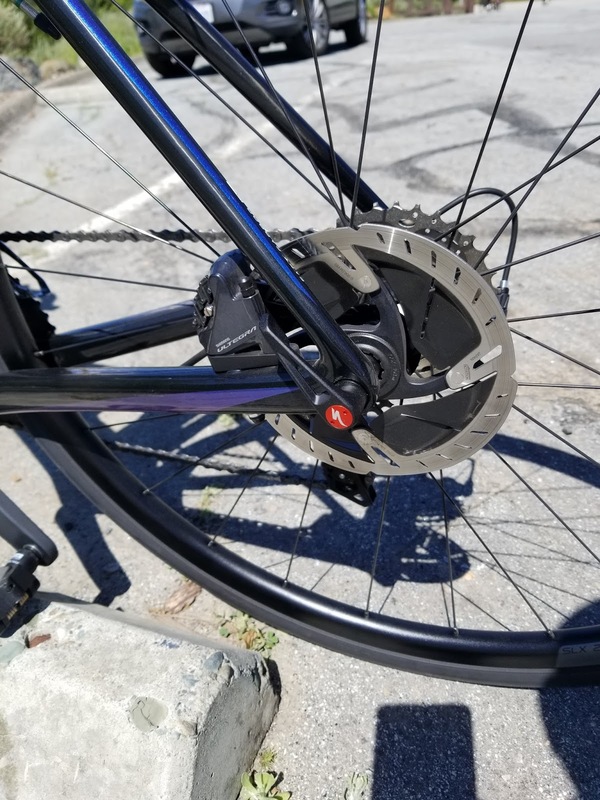 There is still a little flex, but that may be a good thing, where it takes road vibrations out and makes the ride really smooth. I will be able to test it more during this weekend's Sea Otter 91-mile Gran Fondo ride. Frame. The Specialized Roubaix 10r carbon frame is noticeably stiffer than my previous 2014 Roubaix SL4 9r with Zertz, making it easier to get rolling and keep the speed without wasting a lot of effort. It is also noticeably faster (due to geometry changes) than SL4 Roubaix. This stiffer frame makes it is easy to get the bike moving, accelerate, and maintain the speed. My only gripe is that it doesn't accelerate quite like a race bike, e.g. Specialized Tarmac or Pinarello F10 or Colnago C64. But for me, it is 90% there in terms of acceleration, which is fantastic for a "performance endurance" bike. Climbing is surprisingly easy on this bike. While I haven't tried overly steep grades or long climbs yet, Category 3 ad 4 climbs were surprisingly fun on this bike. While it is not a feather-light climbing machine, it is not heavy and with the smaller rear triangle, you can get in the rhythm quickly and get going. 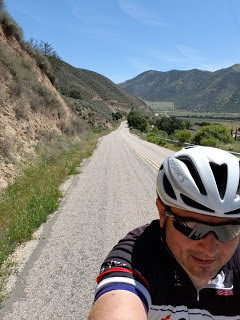 In fact, the Tierra Bella Gilroy Springs climb was easiest on this bike, even though I am in a little bit less prepared form than 2 and 4 years ago. Descending is really good as well. 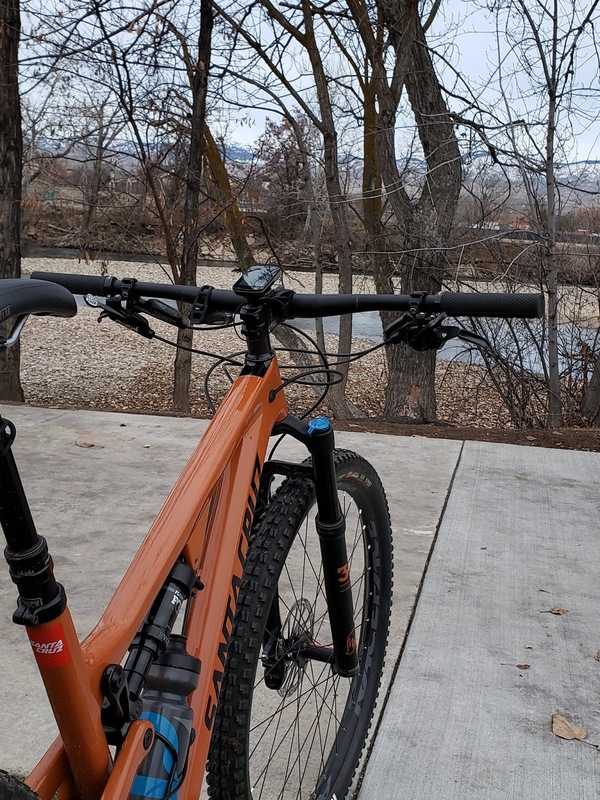 The bike is easy to control, doesn't flex a lot, and the disc brakes do wonders for heavier riders. 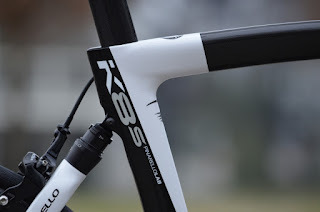 Specialized did a really good job with redesigning Roubaix. There are some classic colors, like matte black with white or dark letters and white frame with black letters. But this time around there are some really cool colors as well, like Chameleon Purple, Hyper Green, Gallardo Orange, Sunset Chameleon, and some other frames with bright red colors. I ended up getting the Chameleon Purple / Blue, which is really cool. It looks either purple or blue depending on your viewing angle. It still looks very classy, but with an element of coolness in it. 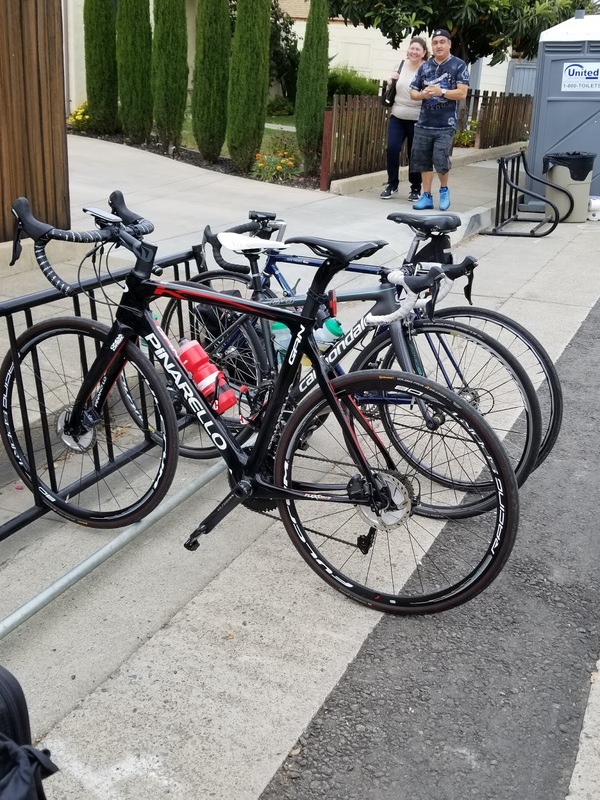 After riding Roubaix for a week, I ended up buying a second one for commuting. This one is 2017 Specialized Roubaix Comp Gallardo Orange. 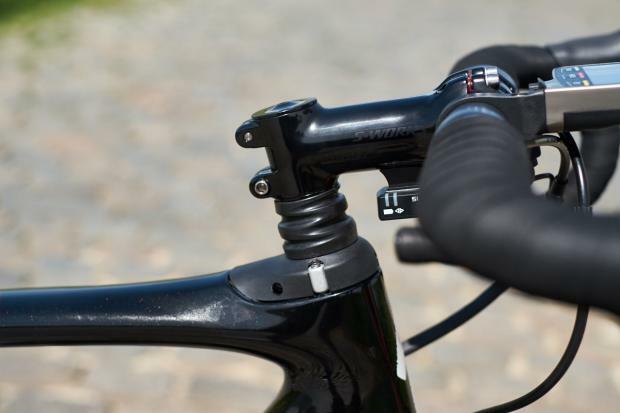 2018 Roubaix Expert comes with a complete Shimano Ultegra 8020 Hydraulic group. It is rock solid in every sense. The shifting is smooth. There is no flex I can feel. The wheels are Roval SLX 24, which are 1,515g, which is very light for disc wheels. All in all, it is a really good performance endurance bike for an XXL rider that achieves a great balance of speed, acceleration, comfort, and good looks.